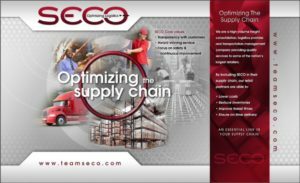 Visit SECO at booth 223 at the Gaylord Palms in Orlando, Florida on February 13th and 14th. RILA is the undisputed leading event for retail and consumer product executives in logistics, distribution and supply chain management. The conference is designed to bring together representatives of all major retail and consumer product segments, along with relevant solutions providers, to create an exceptional educational and networking opportunity. Sessions at this year’s conference will provide both innovative and tangible insights in the areas of distribution, transportation, international logistics & sourcing, legislative & regulatory issues, sustainability, and workforce diversity & inclusion.